Help us ensure that all roofing projects run smoothly by following the recommended guidelines below! You will be notified in advance of the time/date roofing materials will be delivered to your home. In most cases, the materials will be placed on your roof. Please advise us of the location of of your outside electric power source. If none is available, please make arrangements for our installers to “plug” into an inside receptacle for use of their roofing equipment. Before the installers arrive, take a few minutes to remove items hanging on exterior walls or around the eaves that could possibly be damaged by falling shingles or other debris until work is completed. There will be hammering during most phases of your re-roofing project. Please plan your schedule accordingly. We will need access to your roof via the driveway. Please park all vehicles out of this area while work is in progress and for the delivery of materials. We strive to maintain safe work environments for our installers and customers. Please keep children and pets away from work area. Please have any belongings stored in your attic COVERED. Wood shingles, decking and roofing debris will fall through the spaced decking into the attic during tear-off of the old roof. If you have any items stored in your garage, please remove or cover the property. When all work is completed, our roofing crews will clean all roofing debris from the job site and nail-roll your yard. Gutters will be cleared of roofing debris; however, if there is an accumulation of leaves, branches, etc., you will be notified so that you can have your gutters properly cleaned. 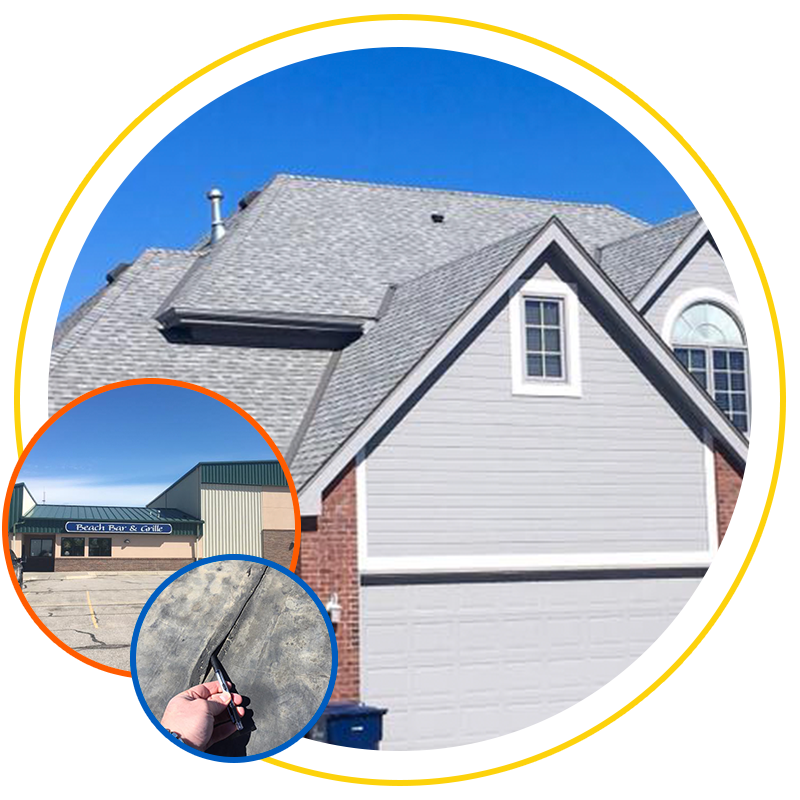 Whenever wood shingles, shakes or multiple layers of existing roofing are removed, there is the likelihood that existing siding or paint will be above the new roof line and an area (void) will now exist between the existing paint or siding. Don’t hesitate to contact us with any questions you might have. We are always here to help you, and we even offer free estimates.